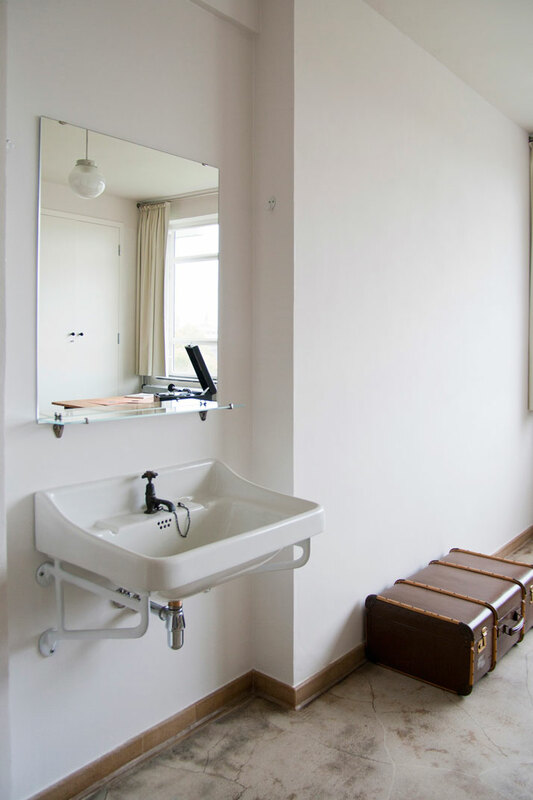 Both an institution and a design philosophy, Bauhaus has been one of the greatest influences in modern design. 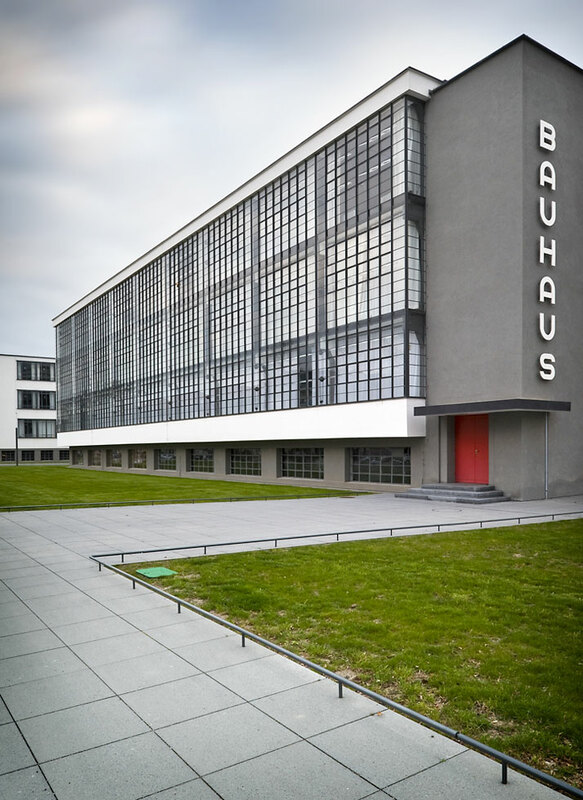 Although forced to shut down in 1933, the historic buildings of the Bauhaus School at Dessau still exist as a museum and visitors’ centre, offering a wide range of activities related to the Bauhaus legacy. 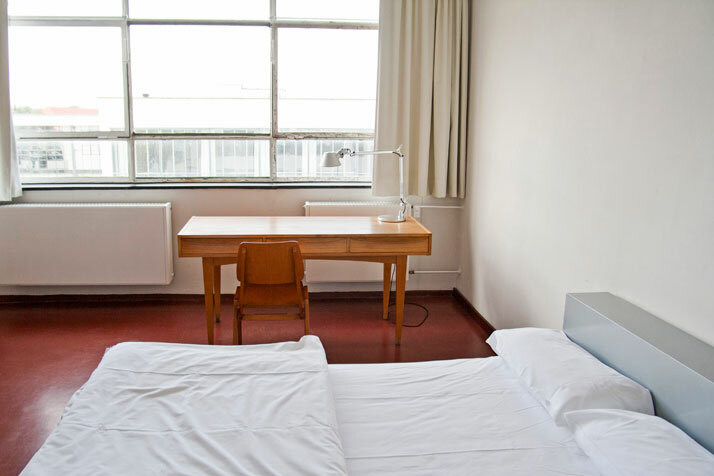 We recently found out that visitors now have the option to spend the night in one of the Bauhaus buildings, namely the Studio Building, which is where junior masters and promising students used to live and work. 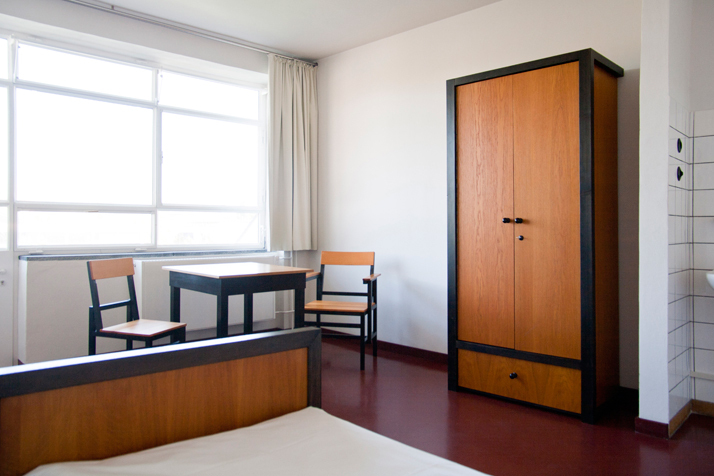 Built in 1926, the so-called ''Prellerhaus'' - named after Friedrich Preller - includes 28 studio flats of about 24 square meters each (single- and double-bed), which offer a hospitality experience ‘‘in the Bauhaus style’’ (which, apart from the original-design furniture and a 1920‘s ambience, also features hallway communal showers and restrooms– it was, after all, a students’ dormitory). The two restaurants on campus will make sure that you never get hungry. 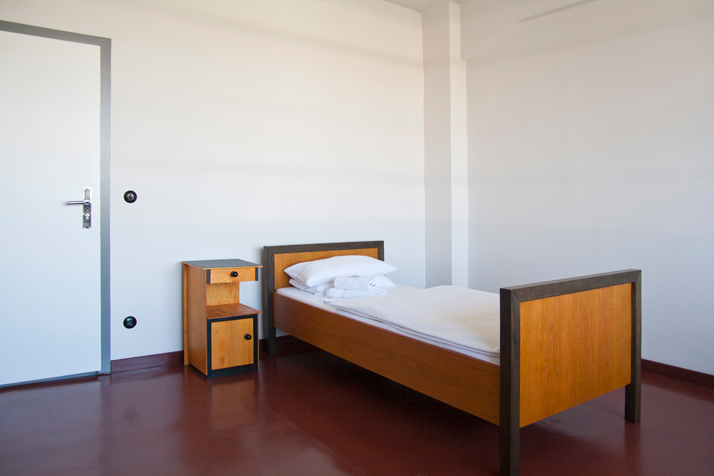 Reconstructed room at Studio Building, Bauhaus Dessau. Photo: Yvonne Tenschert 2013, Bauhaus Dessau Foundation. Studio building (Prellerhaus), Walter Gropius 1925/26, View from east. Photo: Yvonne Tenschert, 2010, Bauhaus Dessau Foundation. 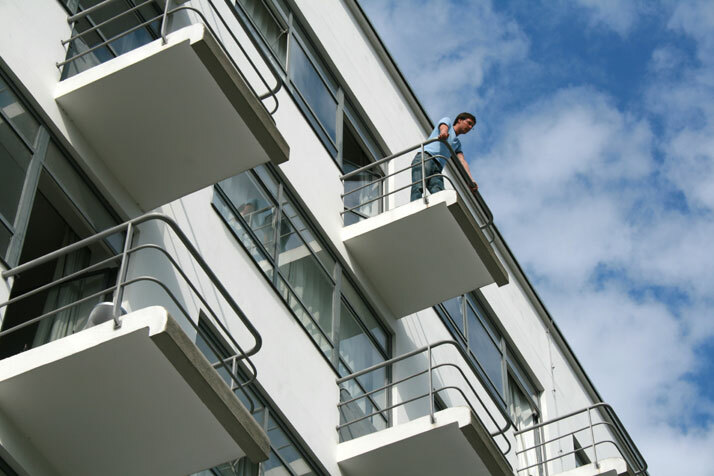 Visitor on a balcony of the studio building (Prellerhaus),Gropius 1925/26. Photo: Yvonne Tenschert, 2009, Bauhaus Dessau Foundation. Personalized studio of Alfred Arndt. 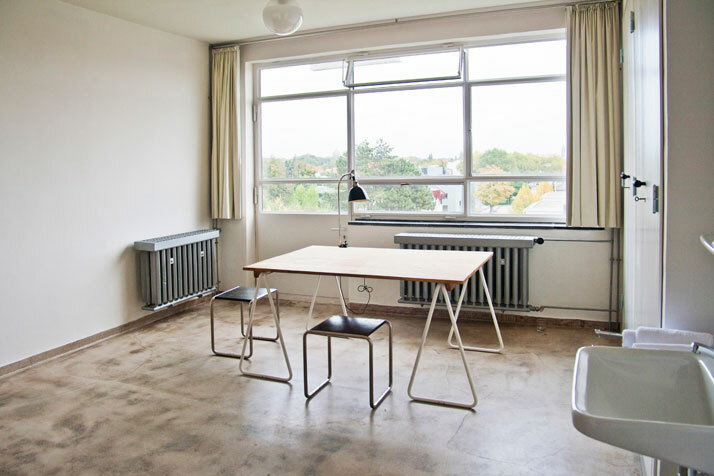 So for your next pilgrimage to Bauhaus Dessau, book a studio at the Prellerhaus and get a taste of what it was like living like a Bauhäusler. 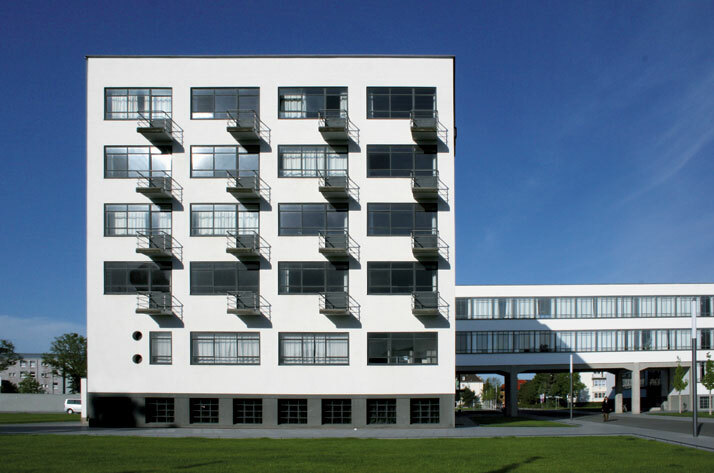 More information and price lists on the accommodation page of Bauhaus Dessau. 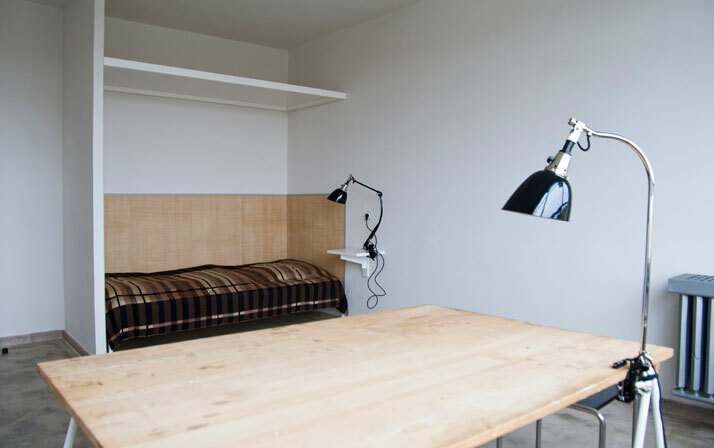 Personalized studio of Josef Albers. Photo: Yvonne Tenschert, 2013, Bauhaus Dessau Foundation. of a workshop wing, vocational school (connected by a bridge) and a studio building, which is linked to the workshop wing by a single-storey connecting structure (auditorium, stage, cafeteria). Color design: Hinnerk Scheper and Laszlo Moholy-Nagy (foyer). 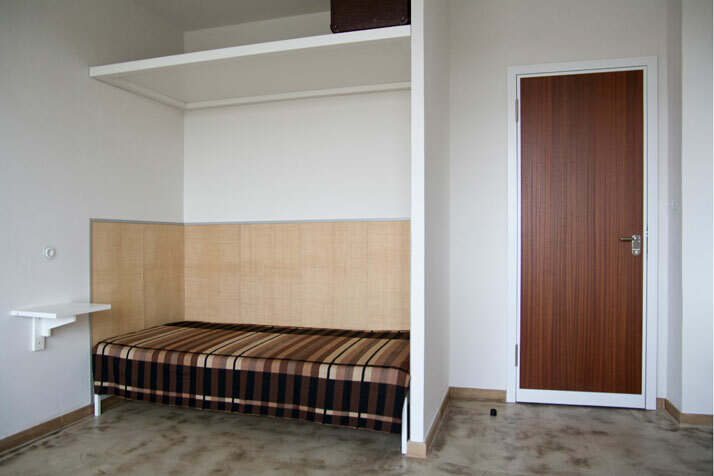 Interiors: Marianne Brandt, Marcel Breuer, Max Krajewski. 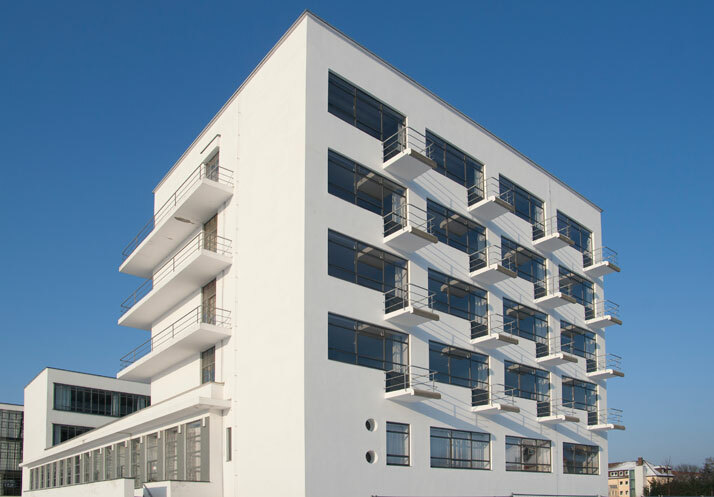 Studio building (Prellerhaus) of Bauhaus building Dessau, Walter Gropius 1925/26, View from south-east. Photo: Yvonne Tenschert, 2012, Bauhaus Dessau Foundation. 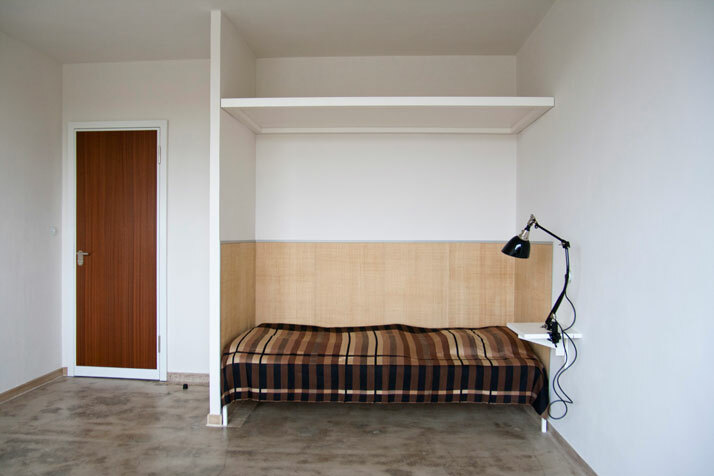 Marianne Brandt room at Studio Building, Bauhaus Dessau. Personalized studio of Franz Ehrlich.